This week I attended a ROTOP (Round Table of Prayer) meeting. It is usually for men only but seeing as they had a woman speaker they graciously opened it up to ladies! to learn to function ‘as a unit’ in ‘watching over’ and ‘looking after one another’ demonstrating the reality of faith in the true, living God; proving how practical the principles of the Word of God are; and how invaluable to everyday living. That should, in fact, be the mission statement of all Believers! The speaker, Claudine Ukwishaka, has God’s fullest anointing resting upon her life. The room was totally silent as she gave her testimony – we were all riveted as we listened to her story about God’s immense grace and love towards each one of us. All children of God have a testimony to tell. We need to learn how to share our stories with each other. Claudine’s story is a powerful witness of just how much God cares about us. She has faced great hardships – fleeing her country of birth, being imprisoned, living through the death of her first born – and yet her message is one of God’s great love for us. God has given Claudine the grace to forgive the people who killed her child and a testimony that brings one to tears, and yet, is so encouraging, full of hope for the future and absolute trust in our God. 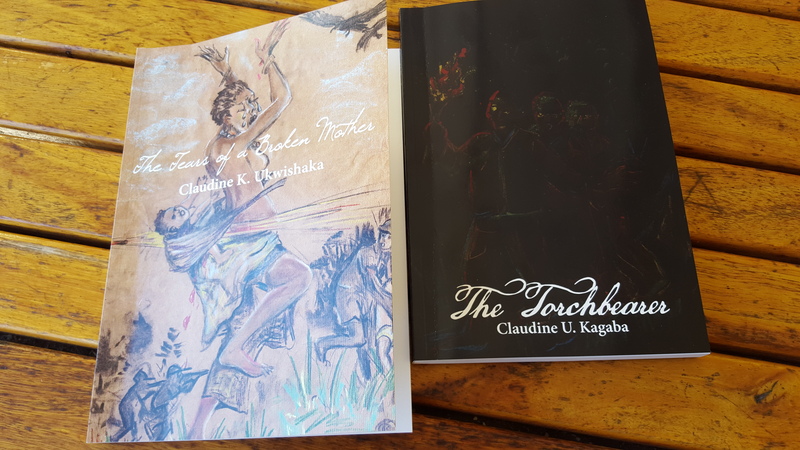 Her book The Tears of a Broken Mother tells her story and her book The Torchbearer is about “carrying the light of God into the kingdom of the blind”. If you would like to obtain copies of her book, click here. This entry was posted in Author, God, Jesus, Prophesy and tagged faith, forgiveness, grace, restoration. Bookmark the permalink. Thanks Nolene, well and clearly stated. To God be the Glory.